No we don't carry out work on the dam wall etc but neither does the guy who has the concessions, bumper boats etc but we are working with the council flood prevention officer with regards the dam repairs at their request to ensure no harm comes to the fish in the loch.We are also working with them on possible water quality improvements. For anglers who don't like the SCG , you don't have to go to meetings etc just treat it as a permit. The Lanark only season ticket and day ticket money goes to the SCG anyway. Council set prices were set to jump up considerably this year and although the adult price of an SCG ticket may be a little more we provide a greatly reduced Junior ticket compared to the council set price of the Lanark only ticket. SCG members are covered by public liability insurance when fishing SCG waters. No the people of Lanark don't get a free ticket no matter if the fishing is council or SCG run, neither do they get to use the mini golf, bumper boats etc for free or most council owned sporting facilities. The SCG are looking to further improve Lanark Loch for angling. how are my points in valid when the annual permit that i pay for goes to the SCG and as a self elected commitee member you should know that. As for not knowing what goes on at meetings i do speak to the people that go to these. Oh a by the way was this mentioned at the last meeting, as it must have been ongoing for sometime. No is the answer. 'My ticket is in the post' whats that statement about the annual permit that is obtained should be in your luggage at all time and statement can be said of the SCG ticket aswell so again playground dummy stuff. Why would i want to join a club that i have no say in what goes on within the waters that was the whole reason i took the council ticket in the first place. How are these changes going to help lanark and what about the dad that wants to take his son roach fishing for the day and the pike anglers they are not going to going to pay to join the SCG. There is nothing wrong with Lanark at all, the old saying 'if it aint broke dont try to fix it'. there is never any trouble most people pay for their angling but you commitee members that are making these changes wouldnt know that as you never fish it or never ask anyones opinion in relation to it same old you just do what ever you want. I agree with a lot of these points to be honest and I think if we're all honest, Lanark is quite different in contrast to the rest of the SCG waters in terms of its stock density and how prolific it can be. Perhaps it wouldn't be a bad idea to have a permit, maybe not payed through the council, but to the SCG for fishing Lanark alone. I know that this year, I have no interest to fish any of the carp group waters, apart for Lanark for a few nights in the summer. I don't want to pay £45 for perhaps 3 night's fishing. In terms of that making it more confusing, just print an SCG membership carp that's slightly bigger than the usual ones and slap "LANARK ONLY" onto it. That's not complicated. A dad that takes his son roach fishing would probably buy a day ticket as would pike anglers as they generally only fish day sessions not 24/48 hours or longer like we do as carp anglers. Should they want to night fish then they have to join when the rule change comes in. 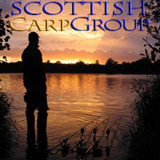 But as the carp group is for carp angling throughout scotland not just lanark then they have to take on that responsibilty to the best of their ability and formulate policy and uphold/amend rules and/or changes, in conjunction with partners like the council, where required. If you don't like the direction it's going in and/or want to change it or at the very least be kept up to speed on the decision making process then you have to become a member and attend the meetings and vote like we all have to on the topic in hand. Just to confirm.... was the decision to change things put to the members , as being a democratic club where changes are voted for yea or nae with the majority getting the vote.....or was this done soley by the committe thinking that this is what the members would like?? I am sure there are many ins and outs indeed , especially in the back carpark after dark!! Just having been involved with a club down south that went down this route, also on a council owned water, it brought a lot of hassle from folk that had always night fished the place for years and were then being told by a club they could no longer do it. Some folk just do not like joining clubs, but are willing to pay extra to fish the odd night. The "forced to join the SCG "was very much tongue in cheek Once I get a job I will be "forced" to join myself..lol.